A primeira feira, em 1917, reuniu vários sectores da indústria exportadora suíça - além dos relógios, com apenas 29 marcas, houve secções de Agricultura, Têxteis e Indústria Metalo-mecânica. Em cima, o cartaz da primeira feira. Mais de 4.400 representantes dos media escritos, televisão, rádio e digitais, de mais de 70 países cobriram o evento. Estação Cronográfica esteve mais uma vez presente e o Anuário Relógios & Canetas, a comemorar 20 anos, esgotou a sua edição papel no quiosque da feira. Baselworld 2017 – The 100th anniversary of the most important show and premier event for the world's watch and jewellery industry reaffirmed its status as the global trendsetting show. This unrivalled premier platform celebrated the convention of the crème de la crème of the entire industry who united once again to take the pulse of the market, marvel at the new collections and witness the start of a new trendsetting cycle. Passion, precision and perfection presided once again as the world's best brands showcased their innovations and newest collections for all the world to discover. Eric Bertrand, President of the Baselworld Exhibitors' Committee, underlined the significance of Baselworld for the watch and jewellery industry. "In the last week, we have experienced the value of this show for the entire industry especially in difficult times, which makes the show's role as the global platform even more compelling at a time when all players are looking for secure values and stability. We know from experience, our new collections and creations will be all the talk in the coming 12 months thanks especially to the immense press coverage of the show and the global interest we have observed." François Thiébaud, President of the Swiss Exhibitors' Committee, concurred and was full of praise for this anniversary of Baselworld. 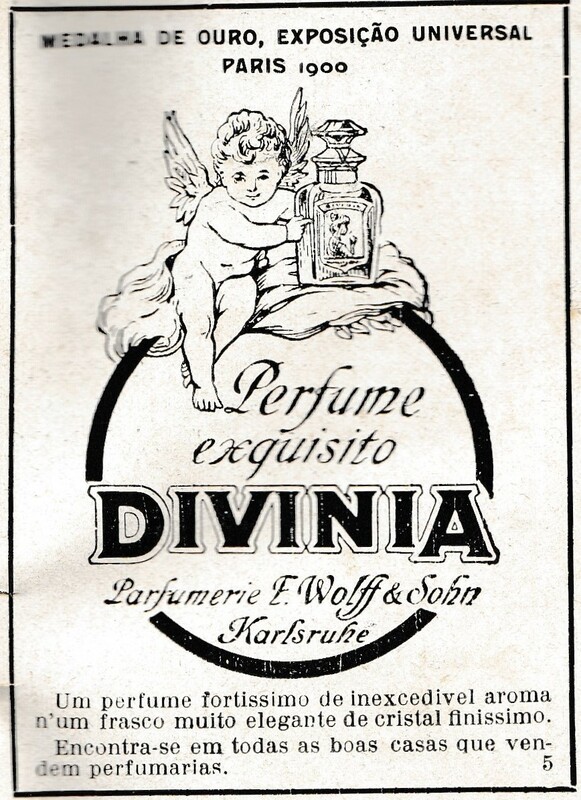 For him, taking a show from a small event with just 29 brands in 1917, and transforming it into the unparalleled global leader is "thanks to Baselworld being the only show that fully reflects the excellence of the industry by uniting everyone, representing every sector and putting each and every player on a pedestal to present themselves in the best light." Regarding the outcome of this year's show, Mr Thiébaud said that: "Although it has been a challenging year, Baselworld 2017 dispelled any concerns about the market as the event has fuelled a renewed spirit of creativity and innovation. The show confirmed that the innovation and passion that epitomise our industry, continue to hold centre stage." Em baixo, imagens antigas da Feira de Basileia, mostradas na Conferência de Imprensa da abertura do evento por François Thiébaud, Presidente do Comité de Expositores Suíços e CEO da Tissot. Regarding his estimation of the 2017 edition, Thierry Stern, President of Patek Philippe, found that "the organisation of the show was good as were the number of visitors, our retailers and the press." 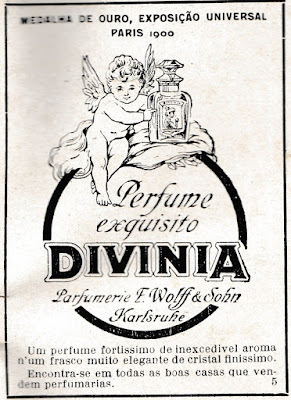 He added that there was a "good general reception of our novelties." Mr Stern also listed a number of reasons why Baselworld is an important platform: "Important in terms of an annual meeting with our network of retailers and partners from all over the world. Important in terms of public visibility and especially in terms of world press resonance. A very important communication platform." For Jean-Claude Biver, President of the LVMH Watch Division , CEO TAG Heuer and CEO Zenith, “Baselworld is not just a show of the best Swiss watch brands, but more importantly the showcase of the entire Swiss and international industry. During eight days, people do not only enter into the heart of the industry, but also feel the pulse of it, getting a vision of the future." 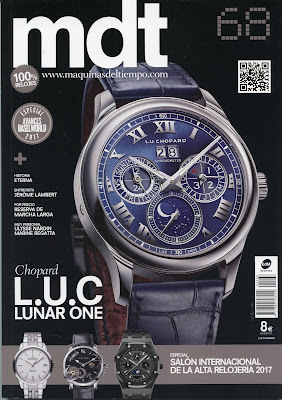 Commenting on the essential nature of the show, Karl-Friedrich Scheufele, Co-President of Chopard, stated that: "Baselworld continues to be the most important event for the watchmaking and jewellery industry. It is also a unique networking opportunity in terms of brand communication." He added that at this year's show, "the overall mood was positive and the level of business conducted satisfactory." Baselworld is an essential date in the calendars of internationally renowned retailers and buyers because it offers them the opportunity to discover and explore the innovations, creations and new collections that are unveiled here. What makes Baselworld additionally indispensable is the show's renown as a market mood and trend barometer. 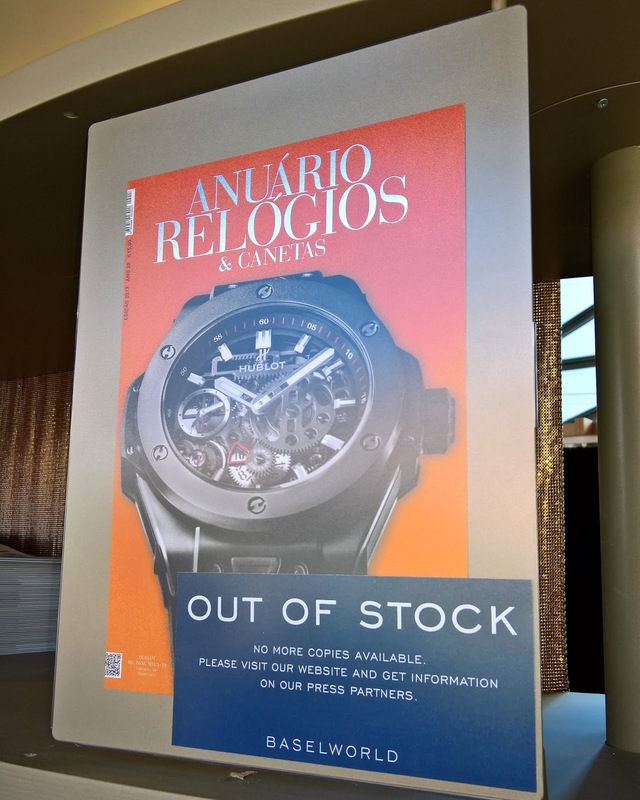 Willie Hamilton, Chief Executive of the Company of Master Jewellers, UK, clearly states that "Baselworld is the most important show of the year for anyone who is serious about buying and selling timepieces. For the UK independent retailer it is not only a chance to see and buy the latest watch trends, view new jewellery brands and buy precious gemstones, but it offers a chance to network with the most important players in our industry and catch up with our peers both in the UK and across the globe." “Nowhere else in the world does so much expertise and know-how come together as at Baselworld," said Kim-Eva Wempe, Managing Director Juwelier Wempe, Gerhard D. Wempe KG, Germany. She added that: "It’s important for us to have the greatest possible number of our employees here." Greg Simonian, President, Westime, USA, is of the opinion that "Baselworld is truly unique, it’s the only chance I have every year to see virtually everyone from the industry." "I attend for the innovations that are introduced, but also to participate in the single most important gathering of the world’s watch community," says long-term attendee Michael Tay, Group Managing Director of leading luxury watch retail group, The Hour Glass Ltd., Singapore, who is convinced that "the opportunities for week-long engagement, exchange and learning are second to none." An impressive number of accredited journalists and those following from afar are a clear indicator of the immense interest generated by the show internationally. News of the novelties and latest collections from Baselworld are relayed instantly to every corner of the planet creating a singular global impact with repercussions that last for a whole year. More than 4,400 representatives of the press from print, television, radio and digital from over 70 countries attended the show underlining the unmissable character of Baselworld. Paying further tribute to the global reach and significance of this show, an overwhelming 86,000! (vs 11,000 in 2016) viewers around the world followed the Baselworld 2017 press conference in real time. Rachael Taylor, Contributing Journalist, Financial Times: "Baselworld is an invaluable barometer of the year ahead, both in terms of design innovation and direction, and also how the marketing is reacting to current opportunities. Attending the show this year has given me a snapshot of the global industry and I’ll be leaving armed with fresh story ideas, new contacts and an Instagram feed bursting with some of the most inspiring new products the market has to offer." Karan Karer, Editor/Associate Director, Hours & Minutes Australia: “Baselworld is an institution, rather than just a show; it’s THE place to be for all the watch and jewellery manufacturers. A show of this scale has never been done before. " Karishma Karer, Editor, Hands on Time: "I think Baselworld sets the trend and the mood for the year; it sets the benchmark for how the year is going to pan out, both in terms of the tone and the products." "Golden editorial opportunities," says Maria Doulton, Editor-in-Chief of The Jewellery Editor, explaining why she travels to Basel. "Baselworld offers a great overview of what is really happening. We get months’ worth of editorial, insight, great interviews and fantastic content for social media – this is exactly what we’re looking for." Baselworld 2017 was once more the global point of convergence where the leading players in the watch and jewellery industry shone in the spotlight for a full eight days. Reflecting on the show that has such a rich and illustrious history, Sylvie Ritter, Managing Director of Baselworld, said: "Baselworld once again gave the sector a positive impulse by putting it on a pedestal to shine. 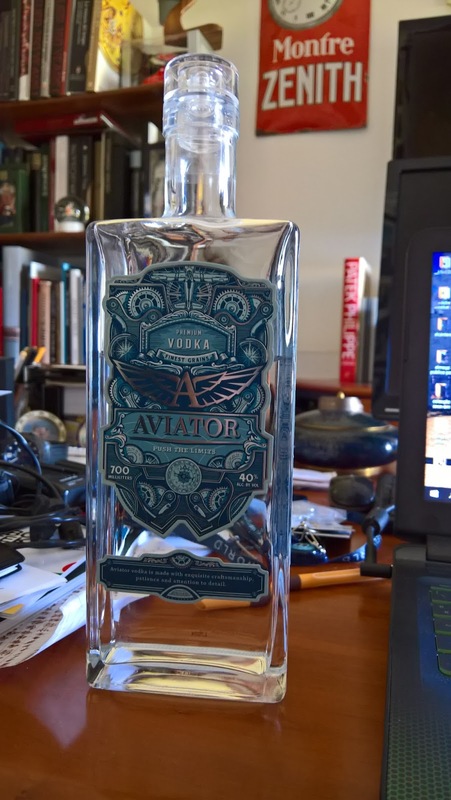 The passion behind the innovative spirit that distinguishes the industry has been reaffirmed which will undoubtedly drive them forward with renewed vitality." Commenting on the outcome of this year's show, Sylvie Ritter, Managing Director of Baselworld, said that the industry is currently going through a challenging phase, which particularly affects smaller companies. Listening to our exhibitors and in agreement with the members of the different Committees, we have decided to reduce the duration of the show and adjust the prices accordingly. Thus, Baselworld 2018 will be held from Thursday 22 to Tuesday 27 March 2018, with the traditional press day on Wednesday, March 21. Ms Ritter emphasised that: "Baselworld will maintain the attractiveness of the show and its global impact by remaining faithful to our strategy which favours quality and leverages diversity in all sectors." 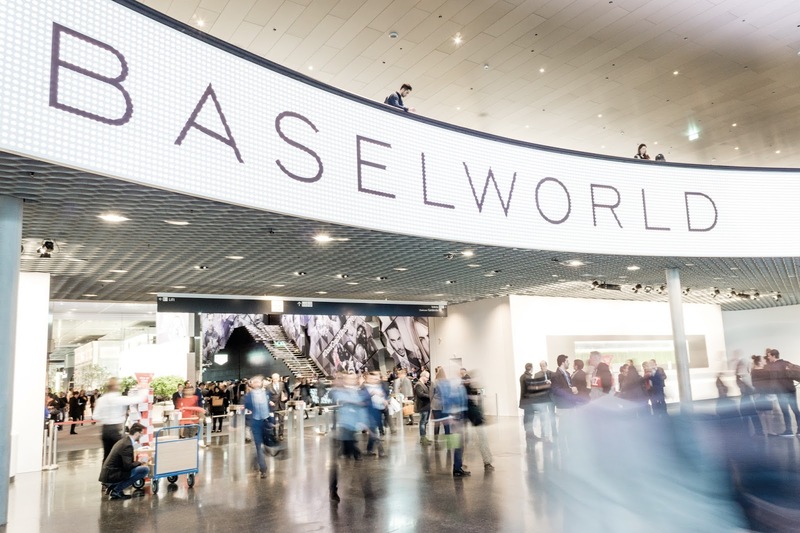 Although only 29 Swiss watchmaking and jewellery brands attended the first ever show in 1917, this year’s Baselword played host to no fewer than 220 companies. And as this major event in the sector draws once again to a close, Swiss exhibitors have amply proved their ability to marshall their powers of innovation and excellence and resist the current turbulence in the market. Despite two consecutive years of slowdown, Switzerland’s watchmaking industry has doubled the value of its exports in just over a decade, to reach CHF 19.4 billion at end 2016, and remains the country’s third biggest export sector. 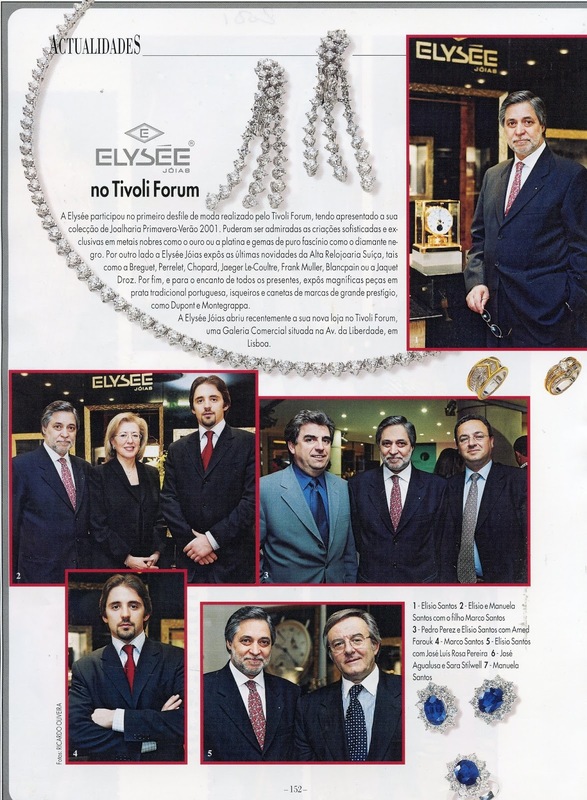 A Baselworld fez 100 anos. Estivemos, como habitualmente, na maior feira de Relojoaria e Joalharia do mundo. Nos próximos dias, vamos publicando fotos do portefólio de Filipa Correia de Oliveira sobre o evento. Eis a terceira série. A primeira está aqui, e a segunda aqui. 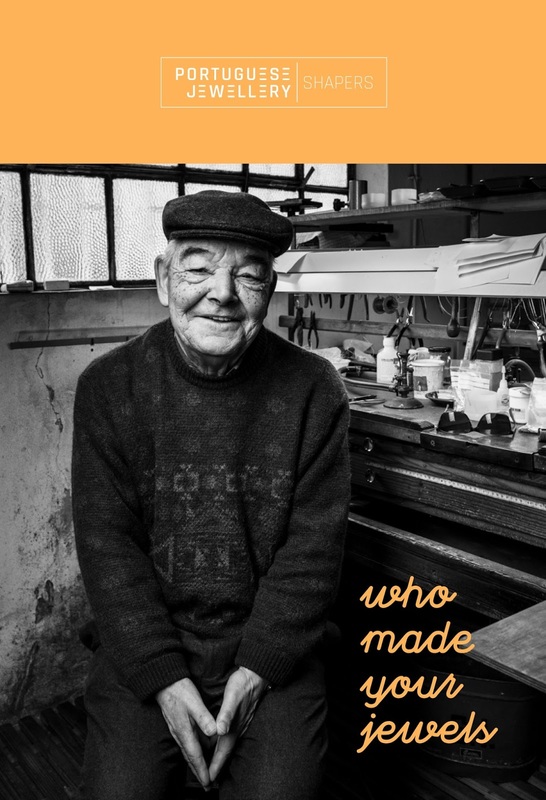 A AORP – Associação de Ourivesaria e Relojoaria de Portugal lança novo projecto para valorização da arte e dos artesãos da joalharia portuguesa. 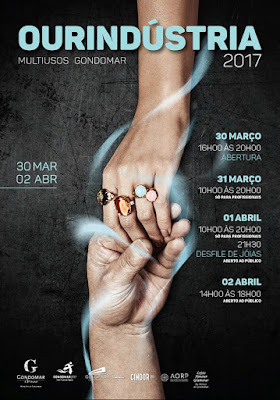 A iniciativa é apresentada hoje, na Ourindústria, evento que decorre até dia 2 de Abril, no Pavilhão Multiusos de Gondomar. Com uma história secular, a joalharia portuguesa é uma herança de arte e talento, passada de geração em geração. Mestres do ofício, os ourives portugueses continuam a preservar as técnicas artesanais e as ferramentas tradicionais. 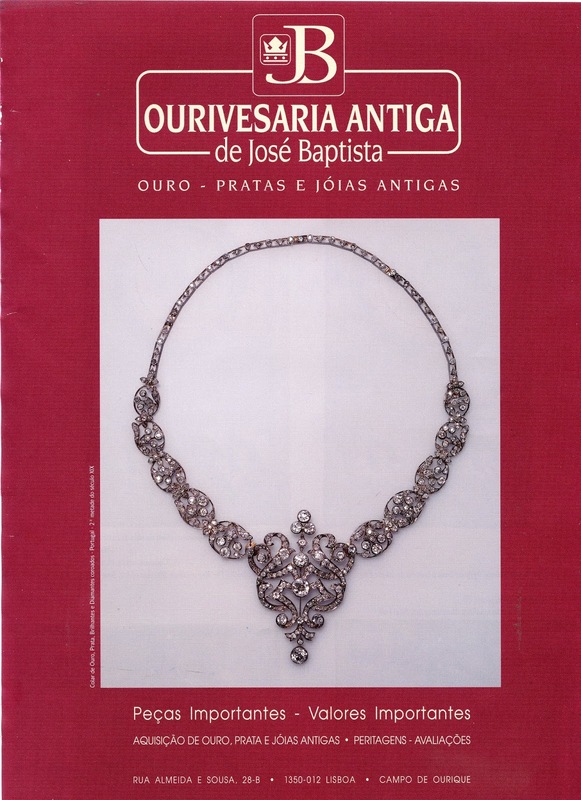 A iniciativa Portuguese Jewellery Shapers apresenta as histórias de sete artesãos portugueses, que, preservando a tradição, moldam o futuro da joalharia portuguesa. Do jovem José Elói, formado no CINDOR e que dá agora os primeiros passos na ourivesaria ao mestre Serafim Ferreira de Sousa que dedicou toda a sua vida à arte, são estes os retratos de um sector em renovação e crescimento. Diz Ana Freitas, Presidente da AORP, “Esta é uma homenagem, mas também um manifesto de sensibilização para o valor intrínseco de cada jóia portuguesa. Numa época em que se vive a pressão do mercado de consumo, queremos valorizar o trabalho dos nossos artesãos, a paixão com que moldam os metais, a minúcia com que executam cada técnica, a atenção que dedicam a cada detalhe. É isto que torna cada jóia portuguesa única e autêntica”. A Baselworld fez 100 anos. Estivemos, como habitualmente, na maior feira de Relojoaria e Joalharia do mundo. Nos próximos dias, vamos publicando fotos do portefólio de Filipa Correia de Oliveira sobre o evento. Eis a segunda série. A primeira está aqui.